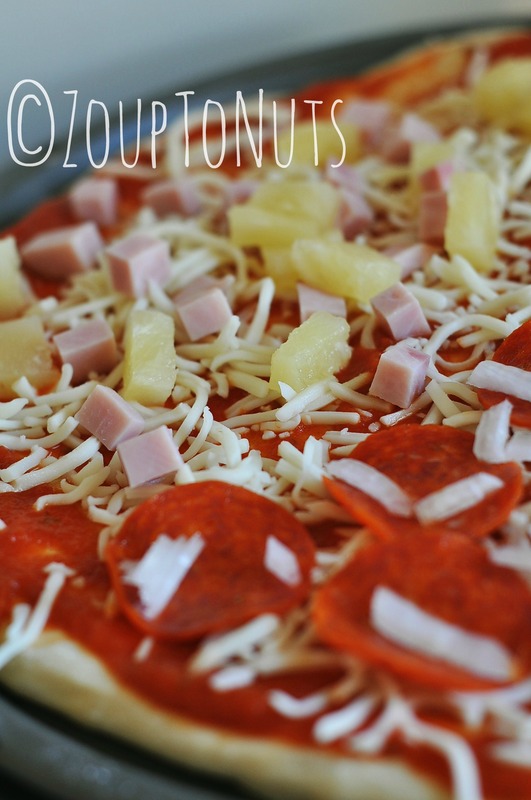 I have a friend who swears by her homemade pizza dough recipe…all three rises of it. It’s practically an all day affair to make it, but she wouldn’t have it any other way. While I might spend all day making pizza dough once in a while, the vast majority of the time I just want to get it done. Apparently, so did my mom. 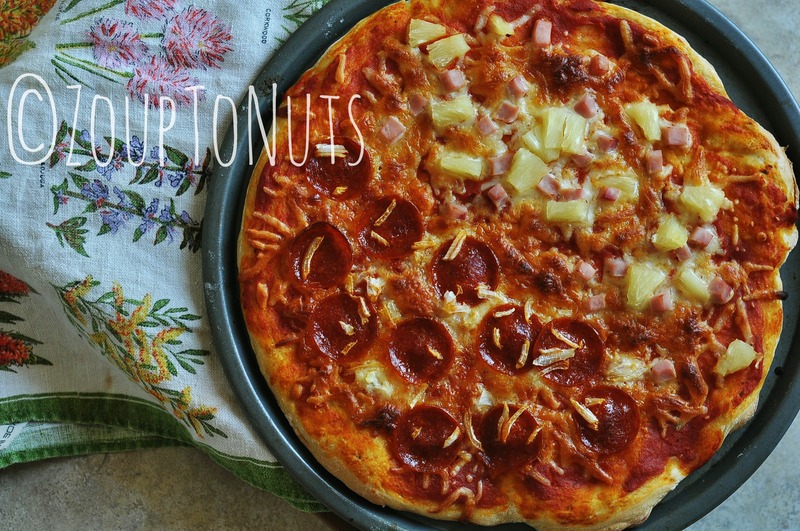 This recipe came out of her archives and, in fact, was labelled “Mom’s Famous Pizza Crust.” It’s fast, easy, and just an all-around good crust. The recipe says it makes two, 12″ round pies but I found that resulted in the crust being too thin. I made one thicker pie, which was plenty for the three of us with a side salad. If you’re feeding more than that, double the recipe. Then, top with your choice of goodies (it’s a hearty crust, so it withstands toppings well), and enjoy! In large bowl mix one cup of flour, sugar, salt, and undissolved yeast, gradually adding hot water and oil. Mix or stir balance of flour and knead until smooth (about 10 min). 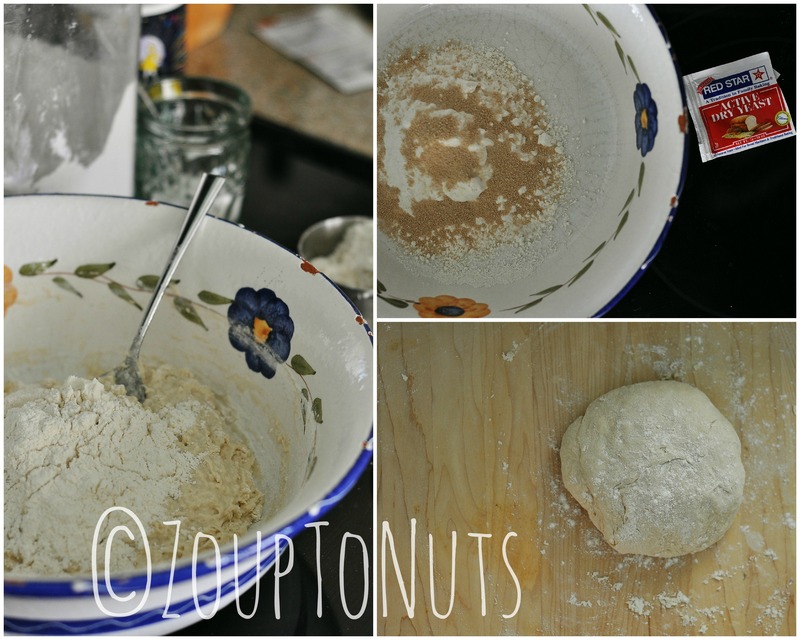 Place in greased bowl, cover, and let rise until dough is double in size (about 45 min). After dough has risen, stretch over a 12″ x 18″ greased pan or cookie sheet. 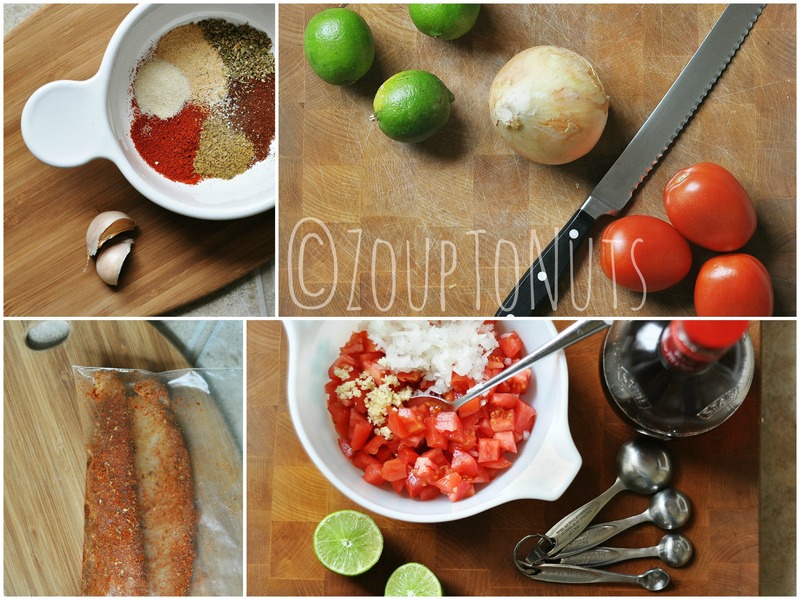 Cover with toppings of your choice and bake 30 – 40 min. Like anyone who prepares meals every night of the week, I don’t always have time to languish over a pot of soup. Some days, there’s just not time for all the chopping and dicing and stirring required. If you feel my pain, you’ll appreciate how fast this black bean soup comes together. 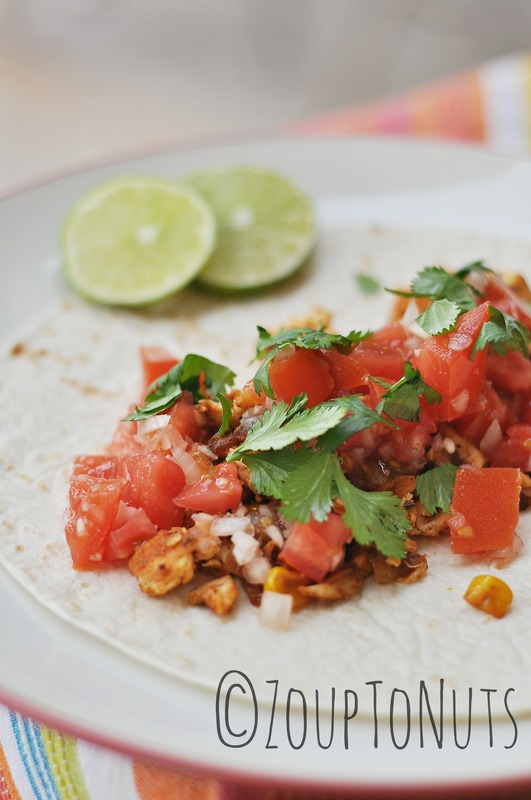 Classic flavor reigns with the cilantro, red bell pepper, and cumin. Optional toppers, aside from the yogurt (or sour cream, if you’re so inclined), include some shredded pepper jack cheese, a dash of hot sauce to kick it up a notch, or some baked tortilla chips. My only qualm with the recipe was it didn’t make enough to put it to the “yesterday’s soup” test. We all know things like this taste even better the next day. But this one tasted pretty darn good the first day! Nonetheless, next time I’m going to double the batch to insure some leftovers. Also, this soup is only a couple of substitutions away from being a perfectly acceptable vegetarian meal: swap out the chicken stock for veggie stock, and bulk it up with tofu or more beans. Personally, I’d go with the beans. Tofu is just…well. Tofu is just tofu. However you make this your own, you’re sure to enjoy!! Place non-stick saucepan over medium-high heat until hot. 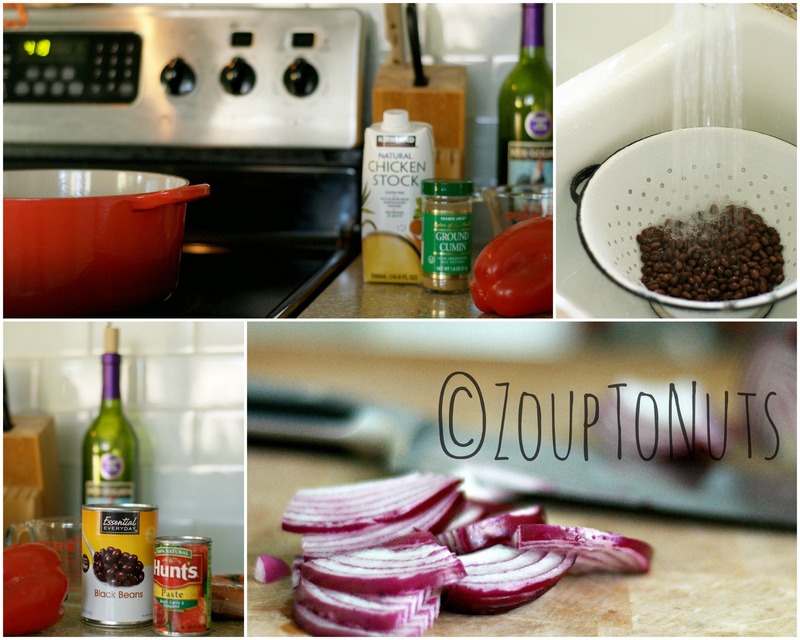 Add onion and pepper; saute 3 minutes or until vegetables are crisp-tender. Add chopped sausage, beans, and chicken broth to onion mixture. Stir in tomato paste and cumin; bring soup to a boil, reduce heat, and simmer 5 to 6 minutes or until soup is slightly thickened. 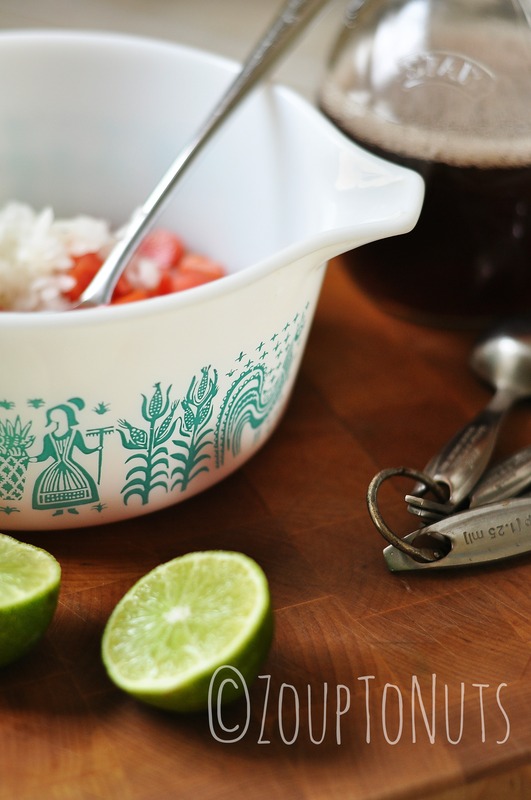 Ladle soup into individual bowls; dollop each serving evenly with yogurt, and sprinkle with cilantro. 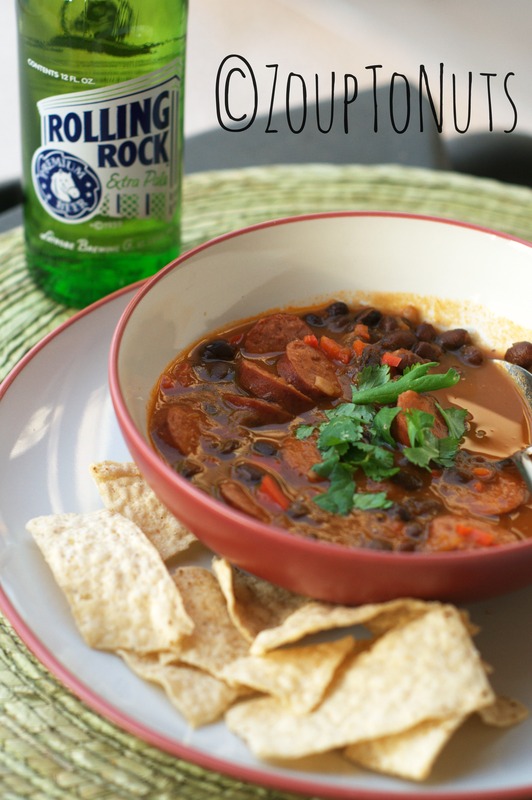 Serve with home-made tortilla chips (optional). Kat and I had a girl’s night last night while Daddy-O was at the Stanford/ASU game. We baked homemade mac/cheese (her all-time favorite meal) and settled on the animated version of A Christmas Carol for after dinner entertainment. Popcorn? Too last Friday night. 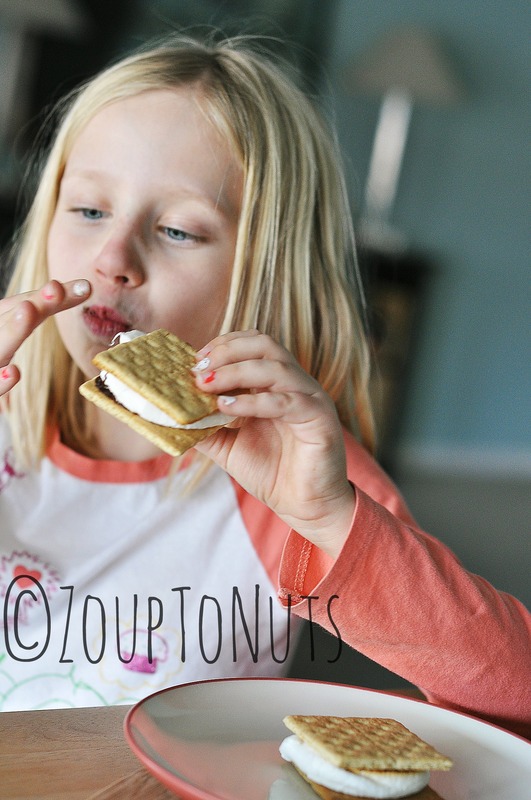 Baked S’mores? Why, yes, please and thank you! These are pretty much a no-brainer. You don’t really need a recipe. Just keep your eyes on the s’mores at all times lest they quickly turn to ash under the broiler. Pre-heat broiler to 500° F. Line baking sheet with parchment paper. 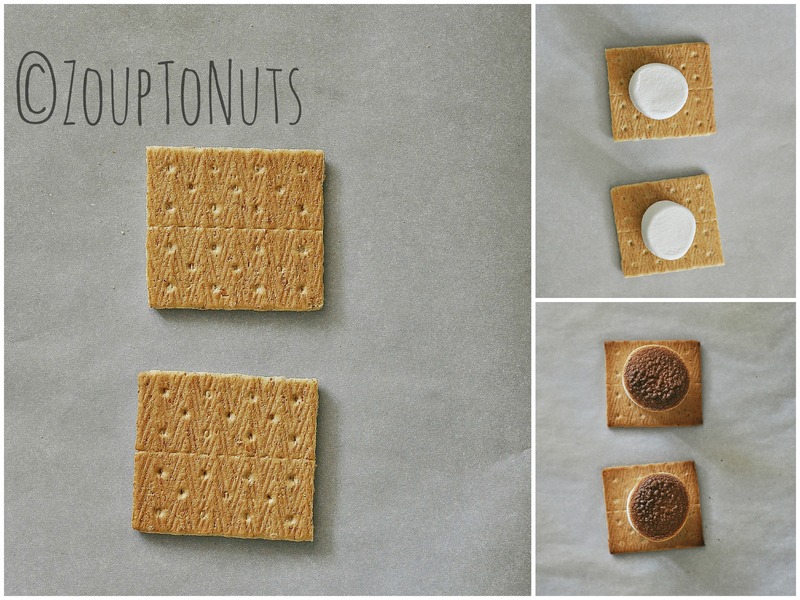 Break crackers in half, placing one half on baking sheet and reserve other half to top your S’more. (Or, bake both sides and eat them open-faced.) Place one marshmallow on each cracker. Heat under broiler until tops of marshmallows are golden brown. Turn off oven and remove pan. 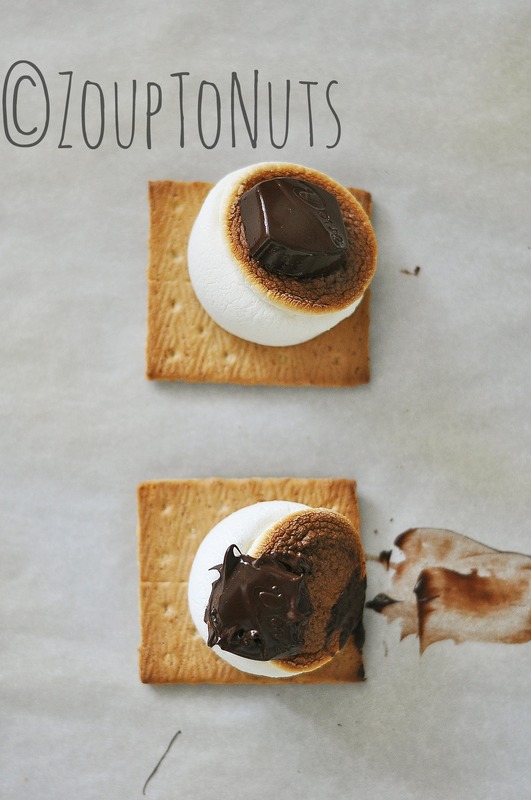 Top melted marshmallow with the chocolate pieces of your choice. For these I used dark chocolate Dove candies. Slide pan back in the oven for 25 -30 seconds, or until chocolate starts to melt. 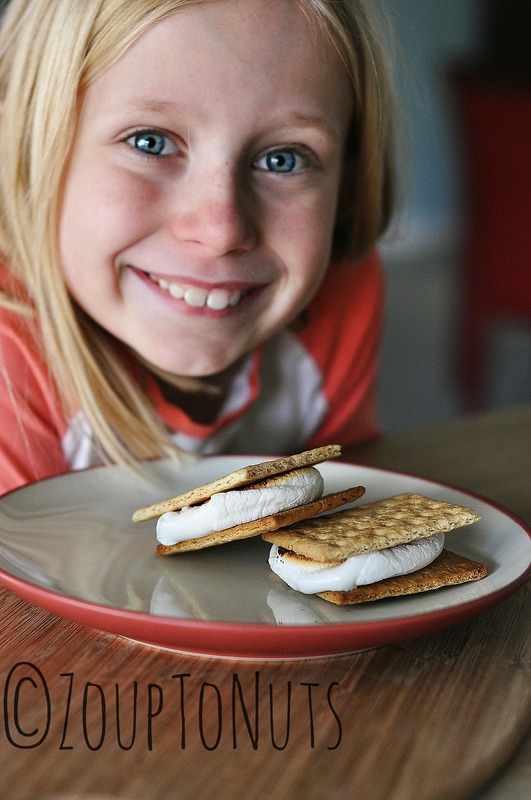 Remove and top with remaining graham cracker halves to complete your S’mores. Summer is upon us. I’m giving myself permission to publish nothing but recipes containing the word “salad” from now until October!!! I probably won’t, but today, with the temperature currently hovering about 106°, it’s tempting. Salad is a cool word. It doesn’t have the same heavy, sweat-on-your-neck connotations as, say, casserole. I don’t know about you, but I felt infinitely more sweaty (sweatier?) typing “casserole” than I did typing “salad.” Even in my climatically controlled office space. On top of that, last weekend I was out of yogurt but didn’t feel like succumbing to peanut butter and jelly for lunch. I did have, fortuitously, a couple of hard-boiled eggs. The rest, as they say, is history. 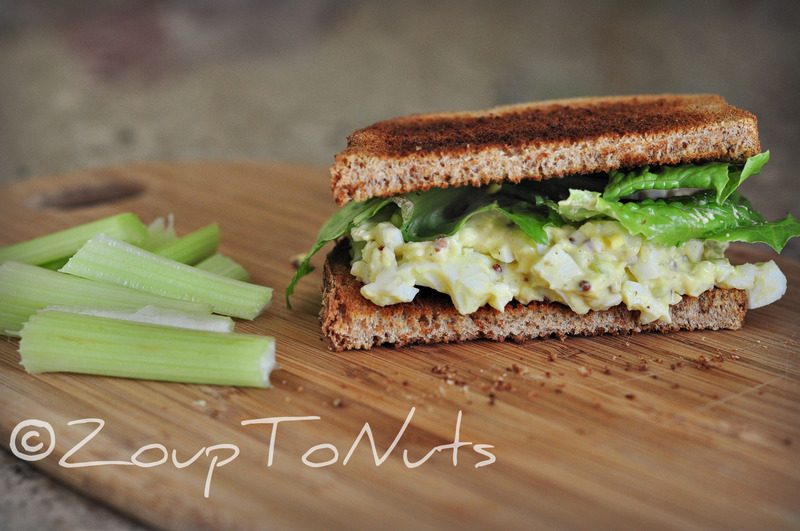 Egg salad is one of those catch as catch can kind of foods. You make of it what you will with whatever ingredients you can gather from the fridge. There are no rules. If it sounds good, add it. It’s summer. It’s hot outside (at least here in the desert southwest). Throw caution to the 106° wind. Enjoy! 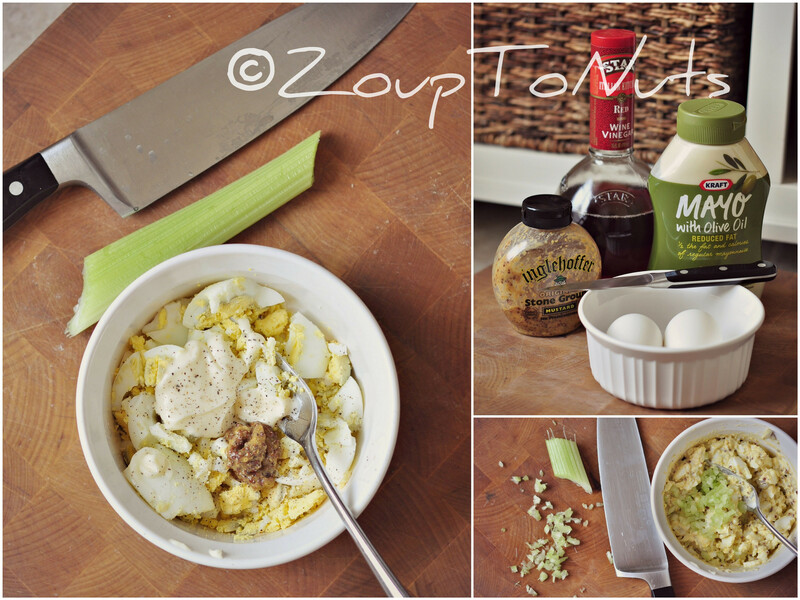 Mash eggs with a fork and add remaining ingredients. 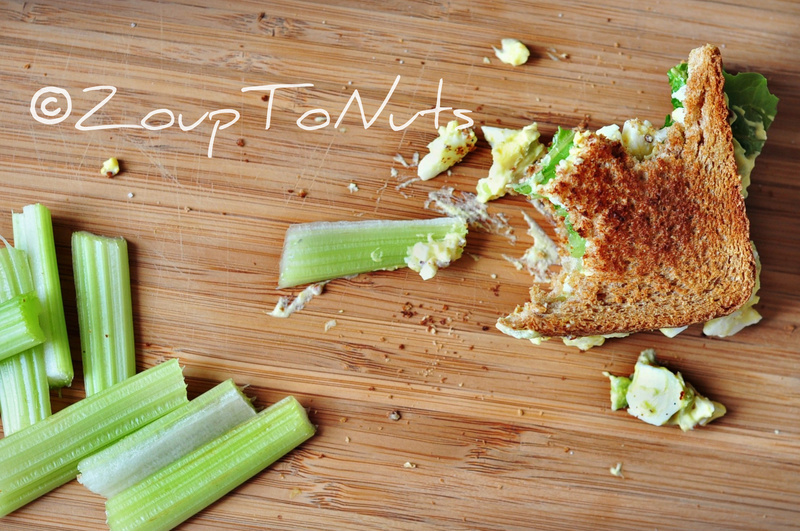 Chill in fridge or spread on whole grain bread with sliced onion and lettuce. Enjoy! Cook’s Notes: I halved the recipe because I only wanted a half sandwich and gave the other half to the husband. The recipe, as written, makes enough for two sandwiches. Increase ingredients accordingly depending on how many mouths you need to feed or how much you want left over for tomorrow’s lunch.